The official video for the song “Flying Hearts” from FREEDOM CALL founder and frontman Chris Bay can be seen below. The track is taken from Bay‘s first solo album, “Chasing The Sun”, which was released on February 23 via Steamhammer/SPV. It’s a well-known predicament that Bay shares with many other composers: occasionally, his wealth of inspiration goes beyond the stylistic and thematic scope of his own band. “I permanently write songs and am constantly working on ideas in the studio,” he explains. “That’s why I’ve collected a whole lot of tracks over the years that on the one hand don’t really suit FREEDOM CALL and on the other are just too good to gather dust in my archive.” The solution to his “luxury” problem: “Chasing The Sun”, committing himself in his very own, unmistakable way to the music that has inspired him since the very early days of his career. And although the songs on the album were created over a long period of time, Bay produced the whole material in spring 2017 at his own studio. Which must be one of the reasons why “Chasing The Sun” — despite the diversity of the individual tracks — sounds cohesive. Alongside a number of rock songs in characteristic Chris Bay style, he has skilfully blended in modern sound elements on the opening track “Flying Hearts”, added Wurlitzer piano touches, which bring to mind the currently trendy 1970s, on “Hollywood Dancer” and risked a song with a slow shuffle groove, a consciously dark atmosphere and an avant-garde flair in “Where Waters Flow In Heaven”. This title once again underscores the boundless ease with which Bay moves in his world of music. 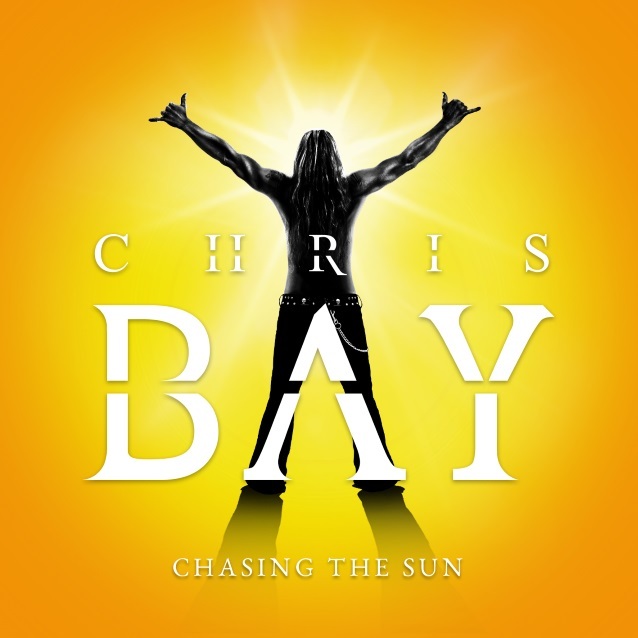 As the album title “Chasing The Sun” already suggests, Bay casually processed the desires and wishes that probably each of us holds in this dark season.. sun, freedom, warmth and harmony … a “summer hit” in winter, a matter of interpretation.